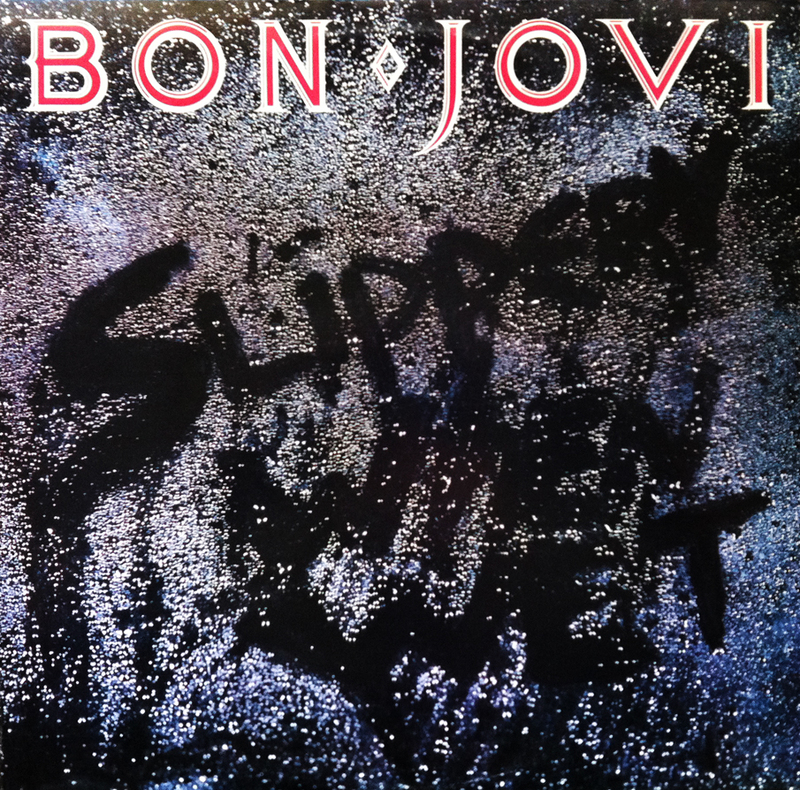 It’s interesting that mega-glam-rock band, Bon Jovi, would title a major label album after a janitor’s caution sign. Perhaps Jon Bon, ahem, “lapped a few dirty halls” prior to becoming arguably the biggest rock star in the continental United States. Jon Bon Jovi has come a long way since his first documented recording, singing lead vocals on R2-D2 We Wish You A Merry Christmas on the 1980 Star Wars Christmas album, Christmas in the Stars… I’m not joking. Who knew that only six short years later he’d be slipping and sliding his way to the “hearts” of women across the world. Slipper When Wet shows the band’s rapid maturity in the three short years since their 1984 debut. 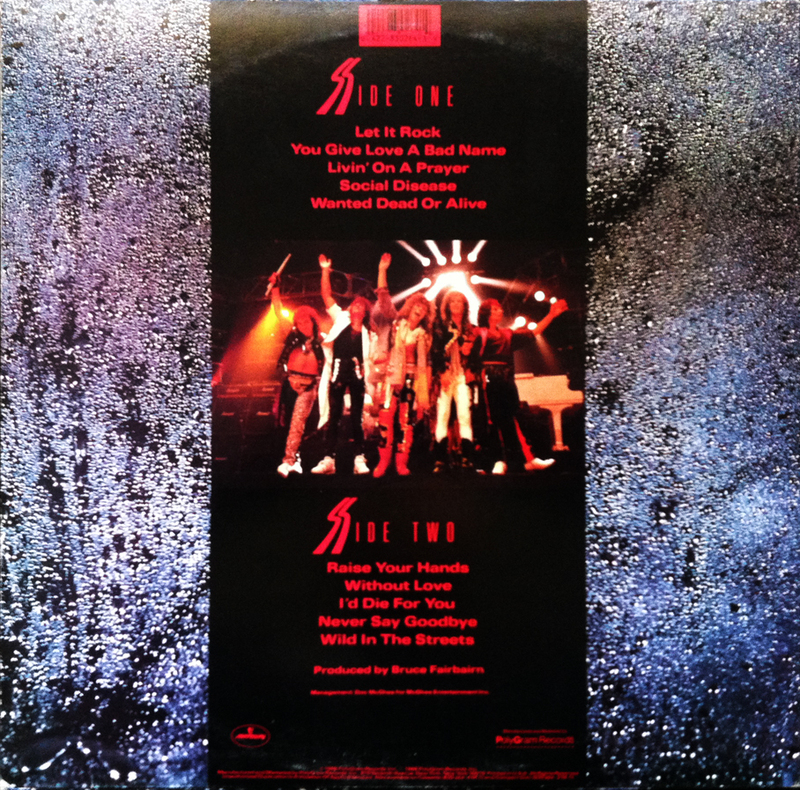 Producing three Top 10 hits with this album alone, Livin’ on a Prayer, You Give Love a Bad Name and Wanted Dead or Alive, Jon Bon Jovi (né John Bongiovi) and crew single handedly became the soundtrack to late ’86 and early ’87. The band would see similar success with their follow up album, New Jersey, but 1986 marked Bon Jovi’s breakthrough into mainstream success. Somewhere, right now, John Bongiovi is sipping an Old Fashioned and looking back at 1986, quite fondly I might add, and saying to himself (or to one of the several women in his room), “You know, it was all right. You know?” It was all right, Mr. Bongiovi. It was all right indeed. Have not listened to this one in YEARS!